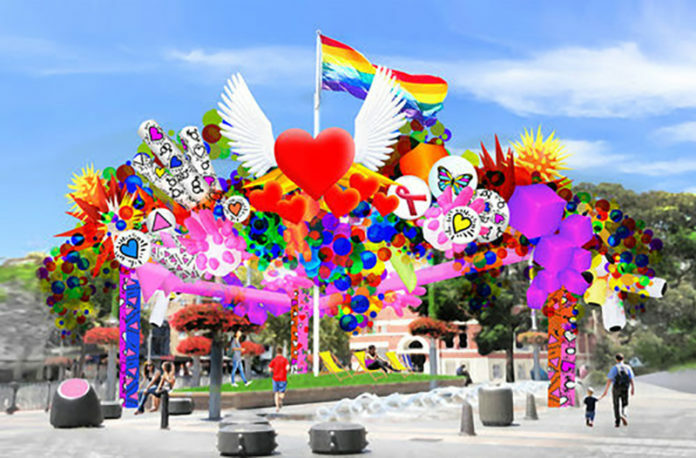 A “big bold and sassy” artwork to celebrate 40 years of love and to mark four decades of the Sydney Gay and Lesbian Mardi Gras will soon grace the lawn under the rainbow flag in Taylor Square. The installation designed by artists Matthew Aberline and Maurice Goldberg from art studio Goldberg Aberline Studio (GAS), will invite those passing by the historic Darlinghurst precinct to stop, stretch out on the grass to view its complex detailed work, and ponder the Mardi Gras story. 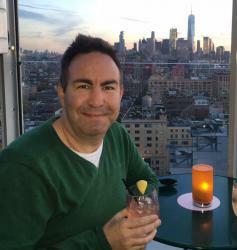 The project winner was announced yesterday by Sydney Gay and Lesbian Mardi Gras and is supported by the City of Sydney. The inflatable installation will be designed on a large triangular aluminium truss that rises above the existing grass island and water fountain to transform the space into a light-ﬁlled pavilion. Mardi Gras CEO Terese Casu said the Taylor Square Public Art Project’s aim is to create a temporary piece of art that helps celebrate the defining moments shared over the last forty years of Mardi Gras, in an iconic location for the LGBTQI people of Sydney. “40 Years of Love examines the themes of repression, adversity, freedom, diversity and equality and was inspired by queer artists like Peter Tully, Brenton Heath-Kerr, Ron Muncaster, Keith Haring and Pierre et Gilles,” said Aberline and Goldberg. The inflatable artwork will be unveiled on the anniversary of the first Mardi Gras on Sunday 24 June 2018, and be installed for three months.